The Speaker of the House of Representatives, Yakubu Dogara, has warned the ruling All Progressives Congress (APC) that it is only by enthroning justice and equity that it will be able to silence voices of dissent and opposition within the party. According to a statement released by his spokesperson, Turaki Hassan, Dogara spoke on Thursday at a meeting between APC members of the House and members of the newly elected national working committee of the party, led by the chairman, Adams Oshiomhole. He said the meeting took place at the National Assembly. According to the statement, Dogara noted that although there is no human endeavour that is perfect. “APC lawmakers only expect justice, which is indivisible and universal. “In every family whether it is a nuclear, extended or an organisation there is bound to be problem and that is because we humans that are running those institutions are not perfect ourselves. So we don’t expect perfection from any quarters. “Our only expectation is the issue of justice and justice is indivisible. What is justice to the executive should be justice to the legislature and it should be justice to the judiciary,” Dogara was quoted to have said. “And once we are able to get these things in their proper perspectives to some extent, we will be able to silence the voices of dissent within the party. Dogara expressed optimism about the ability and capacity of the new APC chairman, Oshiomhole, to tackle the challenges confronting the party. He said, “I know that you come well prepared; we can only wish you well and pray for God’s additional wisdom because human wisdom won’t be enough as you navigate very treacherous terrain. 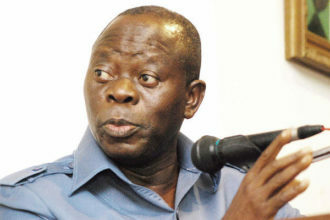 Recall that Oshiomhole had on Wednesday held a similar meeting with the Senate caucus of the party. The meeting came as some members, including associates of leaders of the National Assembly, gathered at a hotel in Abuja and announced the formation of the Reformed APC. 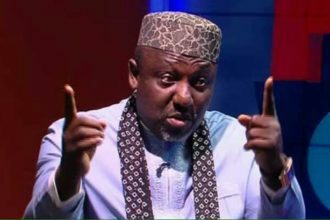 The party later on Thursday formally reacted to the emergence of the group, describing it as a mischievous attempt to create an impression that the APC was factionalised.